What are the Different Types of Shoulder Instability and Treatments? Shoulder instability, also known as a “loose” shoulder, is a condition where the humeral head (ball) does not stay in the glenoid (socket). Dislocations of the shoulder are one form of instability. Some experience a shoulder subluxation where the ball starts to come out of the socket. The shoulder joint is stabilized by static stabilizers (ligaments and labrum) and dynamic stabilizers (rotator cuff muscles). Shoulder ligaments allow the hand to have a wide range of motion but these ligaments still hold the ball within the socket. When a dislocation or “subluxation” occurs, they can be damaged and the labrum they are attached to can be torn. Shoulder dislocation is often caused by a traumatic event, such as sports injuries, car accident, and other trauma. The injury typically occurs in an externally rotated position. Hence, anterior dislocations are more common than posterior dislocations. Some individuals are born with “loose” ligaments. 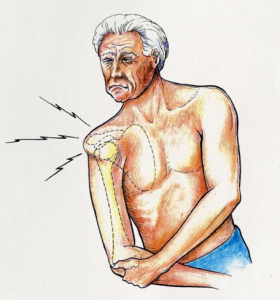 Often called “double-jointed,” these people can sustain a shoulder instability injury with trauma. Sometimes, no trauma is required but merely repetitive activities. This is especially true in athletes like baseball and tennis players. Symptoms of instability include apprehension (sensation that the shoulder is going to come out of its socket when put in certain positions). Some patients have pain if the labrum is torn or there is other damage to the shoulder joint. It can feel like a deep pain. The goal of initial treatment is to recover from the acute injury. A sling may be used for comfort, as well as pain medications and/or anti-inflammatories. Non-operative efforts include getting the shoulder muscles functioning well again. Normally, the shoulder muscles control the ball within the socket and effectively position the shoulder bones. If these dynamic stabilizing muscles are not working correctly, symptoms of instability will worsen. Specific exercises must be performed in order to return strength and coordination to these muscles. A shoulder rehabilitation program is even more critical in nontraumatic, loose ligament instability cases. If the static stabilizer muscles are normally looser, individuals rely even more on these muscles functioning correctly to give stability to their shoulders. Surgical intervention may be required for shoulder instability cases that do not respond to non-surgical management. 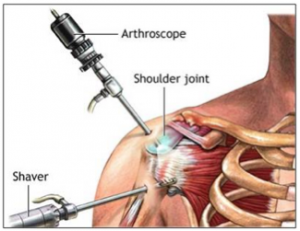 Arthroscopic shoulder surgery with a shoulder surgeon is typically used to fix the shoulder problem. Probably the most common injuries that are treated with arthroscopic surgery are called Bankart labral tears. As a result of arthroscopic technological advances, the majority of these tears can be successfully repaired by way of three small holes. properties of the shoulder ligaments. If these tissues have stretchy fibers (elastin), surgical tightening can fail. 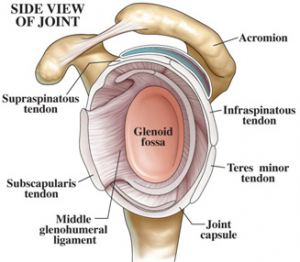 It is important to see an experienced shoulder doctor in Phoenix to have this type of procedure performed. Postoperative shoulder rehabilitation is more complex. Under the supervision of occupational and physical therapists, sessions can extend for two to four months with full recovery taking as long as six months depending on the surgery. The first couple of therapy sessions focus on control of postoperative pain and/or swelling. Electrical stimulation or ice may be used along with massage and other hands-on treatments to alleviate muscle pain and/or spasms. Typically, a sling is used for shoulder support/protection for one to four weeks following surgery. Bankart post-surgical therapy proceeds slowly with range-of-motion exercises beginning shortly after surgery. However, therapists are quite cautious about performing passive stretches on the front capsular portion of the shoulder for the initial six to eight weeks. Gradually, sessions progress to active strengthening and stretching. Three to four weeks post-op, active therapy commences. Patients use their own muscle power to perform range-of-motion exercises beginning with light isometric strengthening. These exercises effectively work the operative muscles without straining them as they heal. Between six and ten weeks, more active strengthening exercises are introduced improving control, strength, and stability of the rotator cuff and shoulder blade muscles, which helps the shoulders move smoothly during everyday activities.